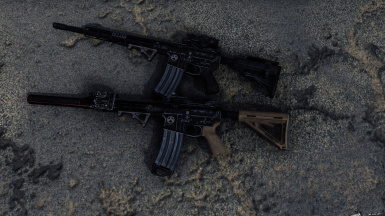 I also added a variable to the receivers so they will reload 25% faster as I found the original reload speed slow and a bit lazy. 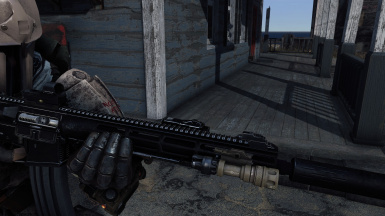 You can no longer craft legendary versions as players were CTD when crafting. 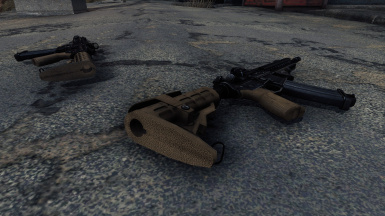 4 Dummy setups for each weapon, 2 in black 2 in tan, each version of the tan and black contains a letter A or C.
The A is for your character in Armor, C for when wearing clothing. 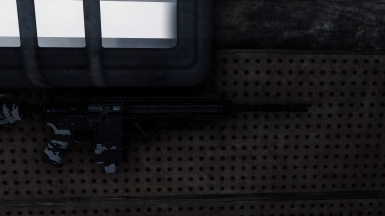 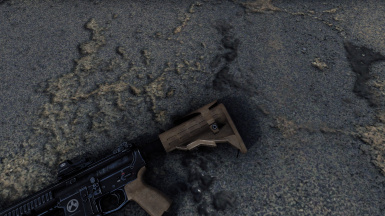 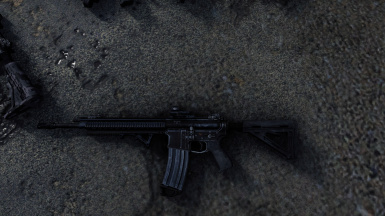 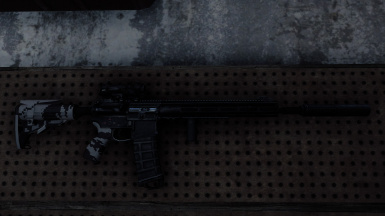 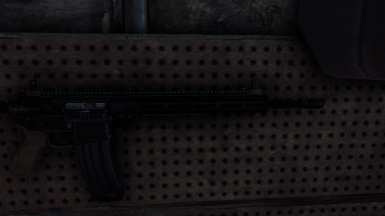 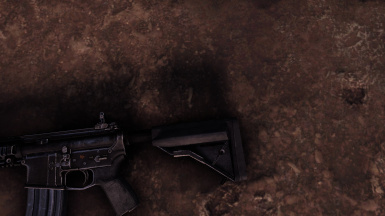 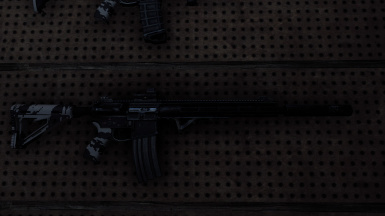 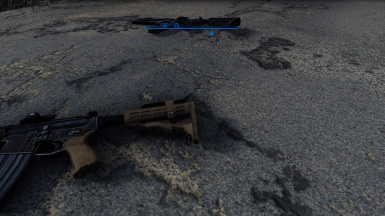 It changes how far away from the body the rifle sits). 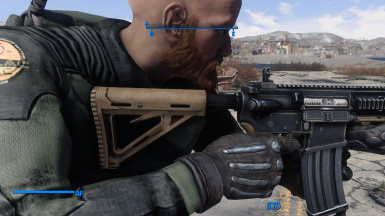 How to Install using mod manger. 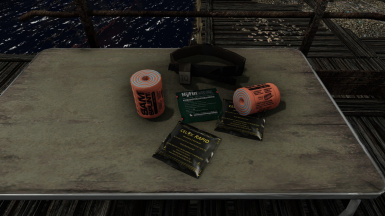 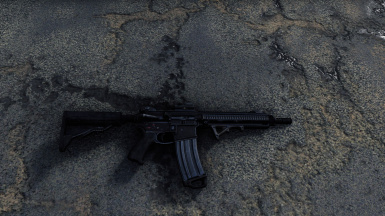 Download and install RU-556 Armoury either mod manger or manual. 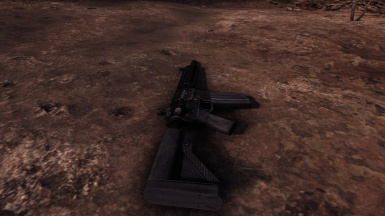 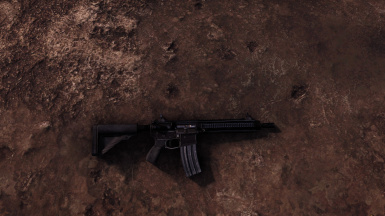 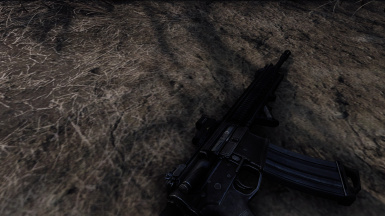 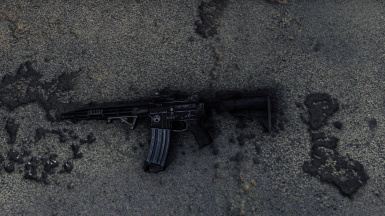 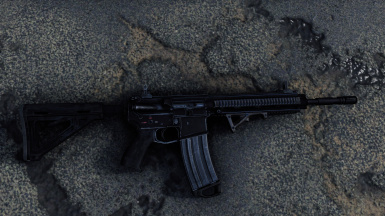 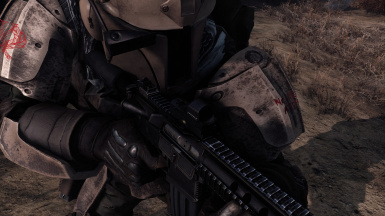 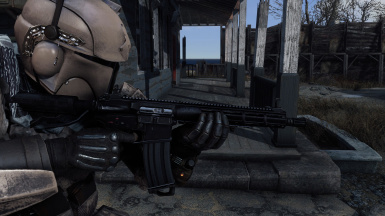 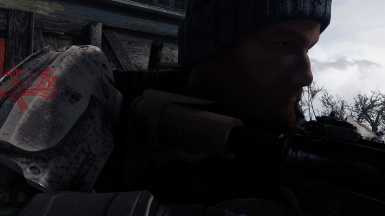 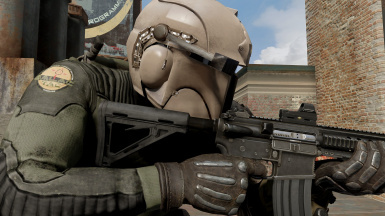 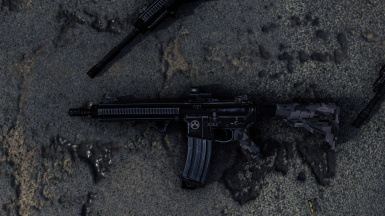 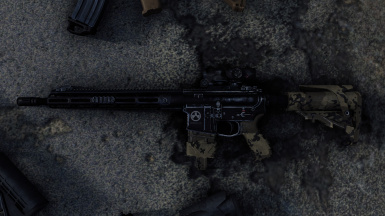 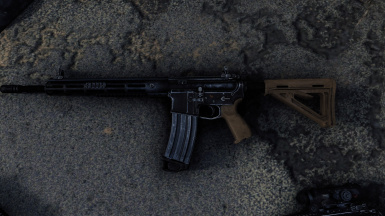 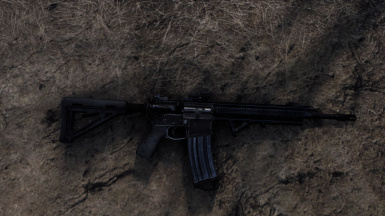 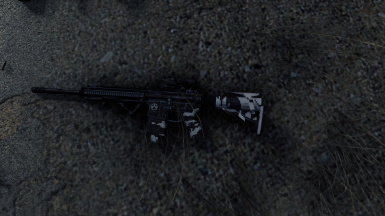 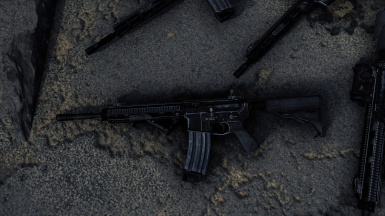 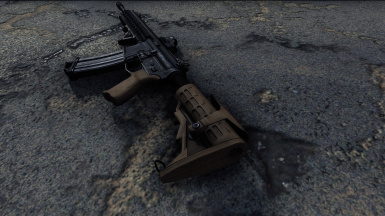 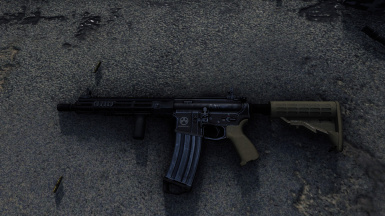 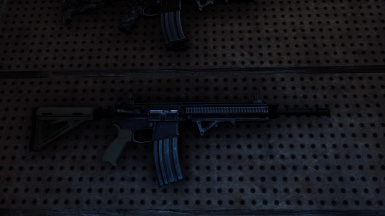 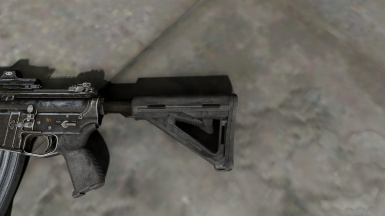 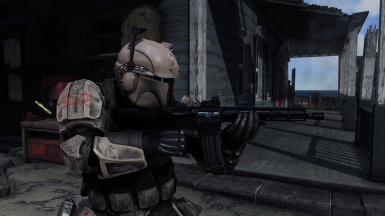 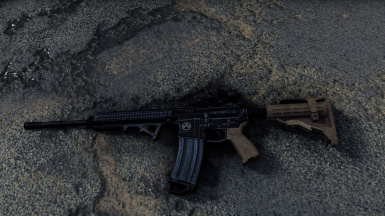 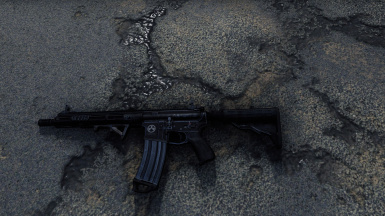 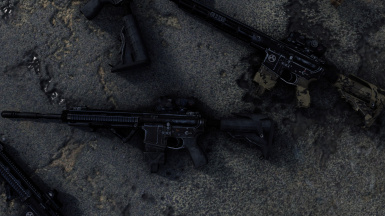 IF upgrading from my old version called SR-556, activate the new mod and deactivate SR-556. 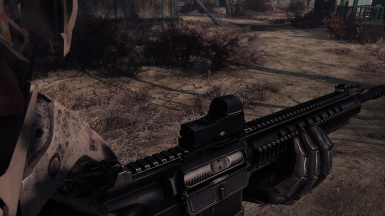 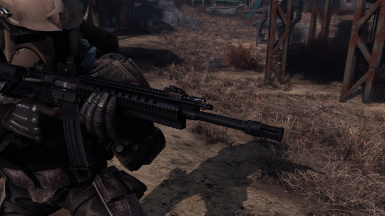 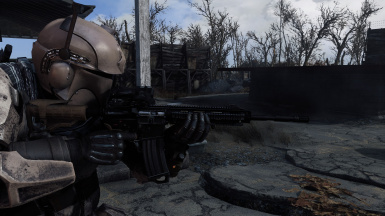 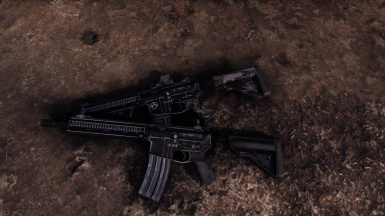 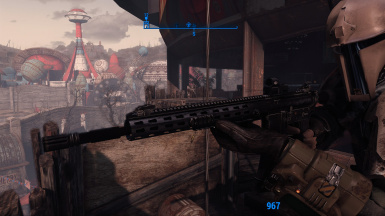 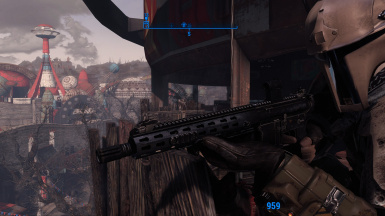 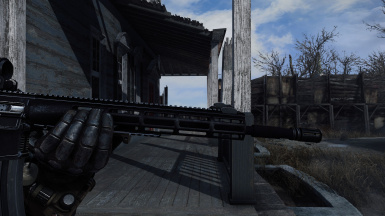 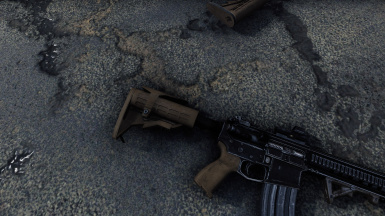 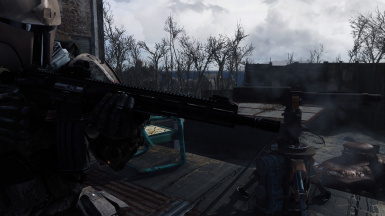 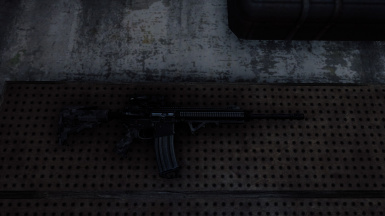 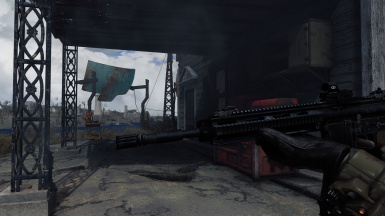 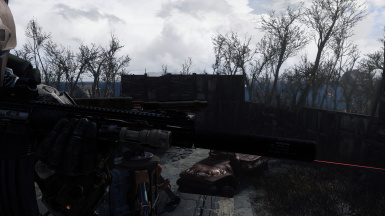 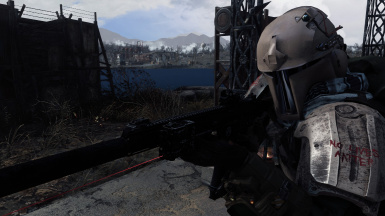 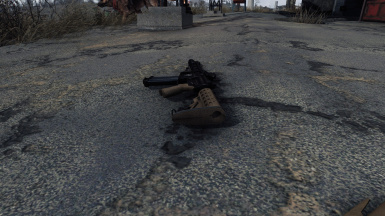 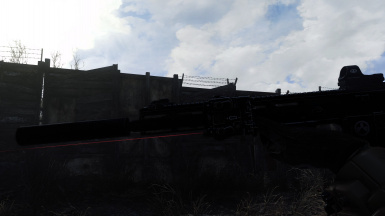 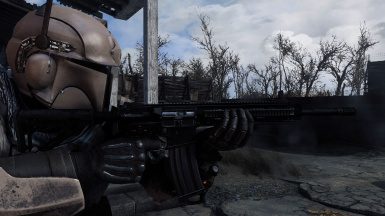 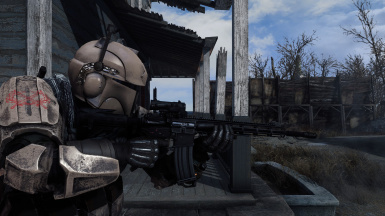 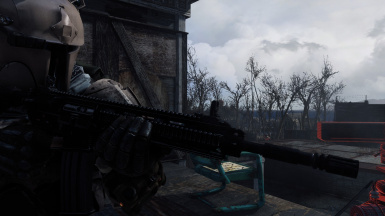 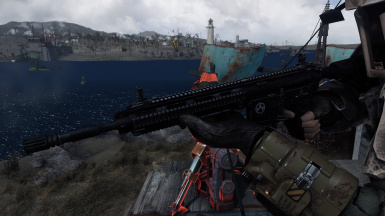 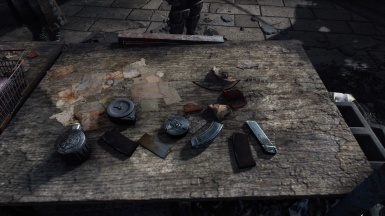 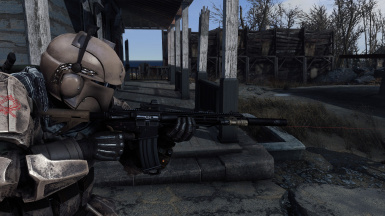 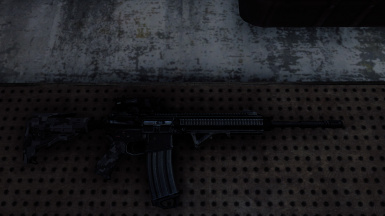 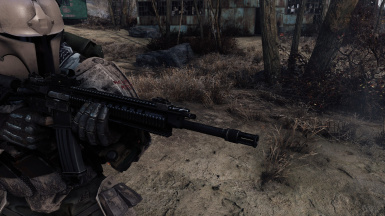 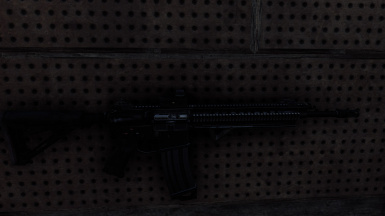 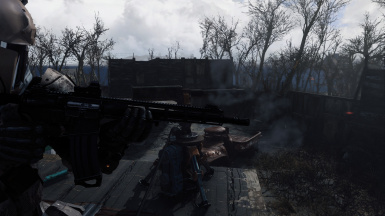 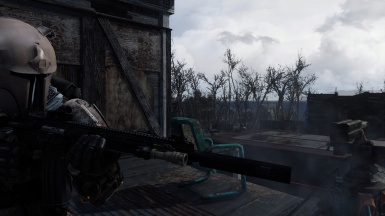 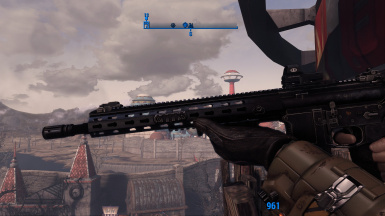 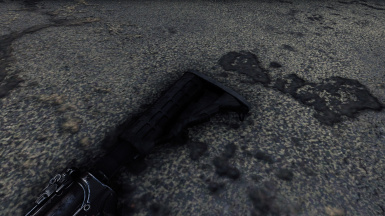 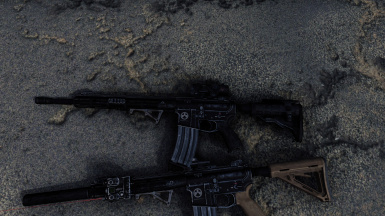 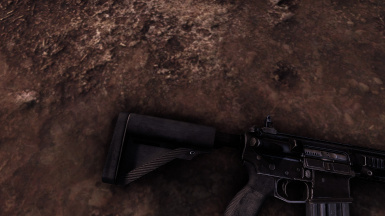 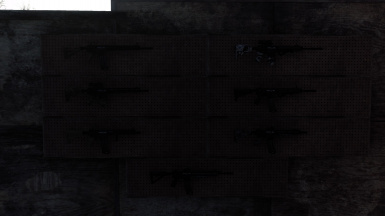 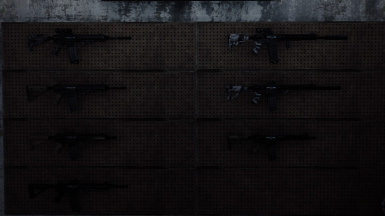 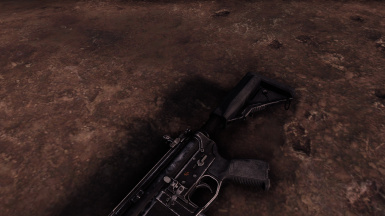 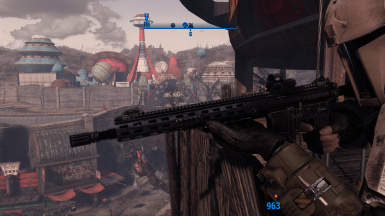 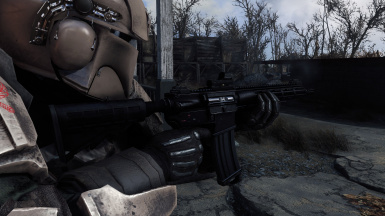 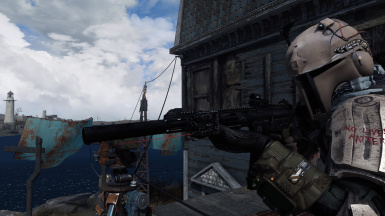 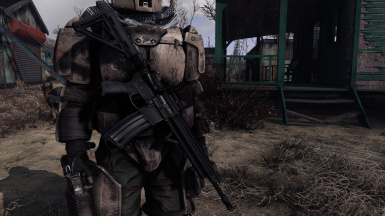 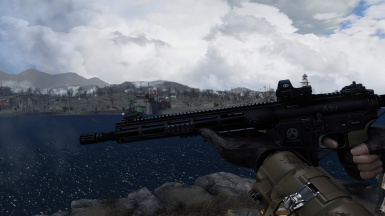 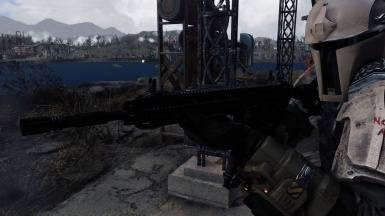 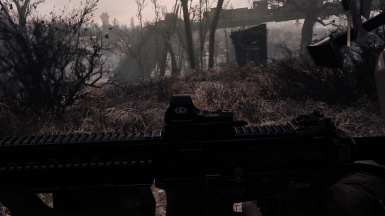 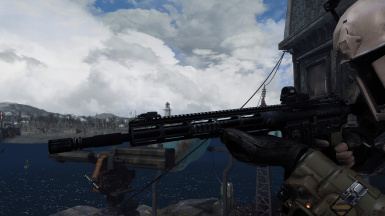 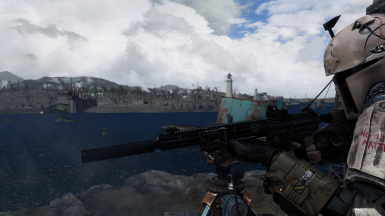 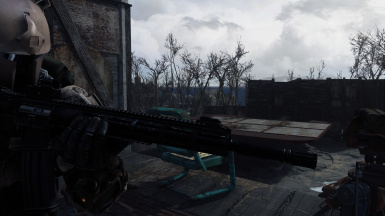 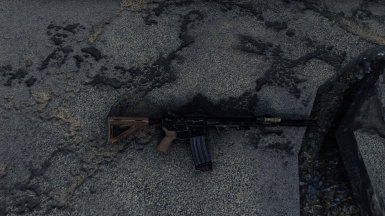 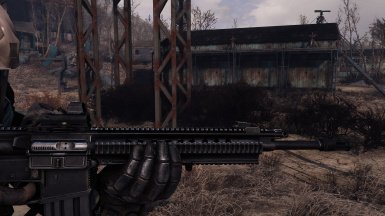 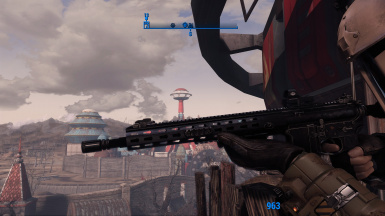 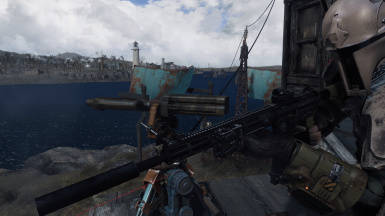 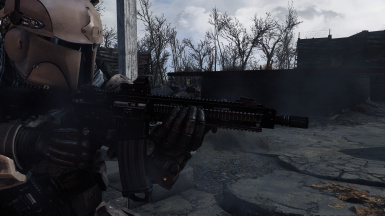 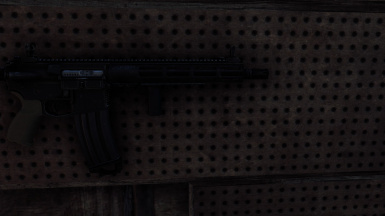 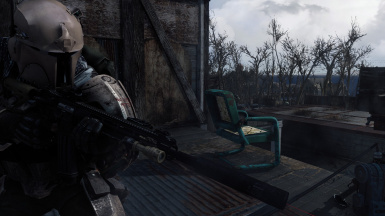 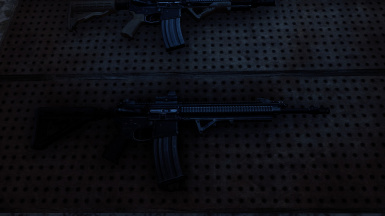 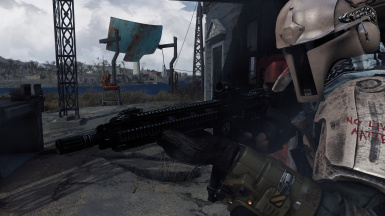 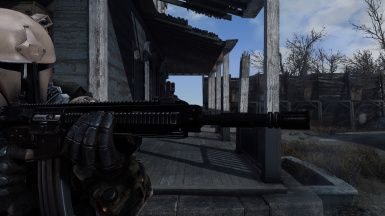 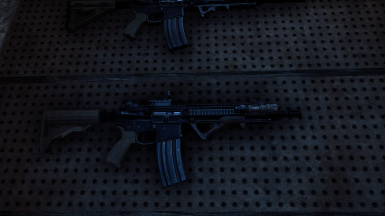 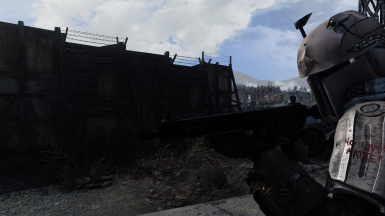 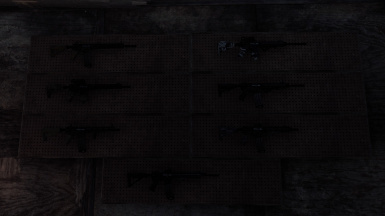 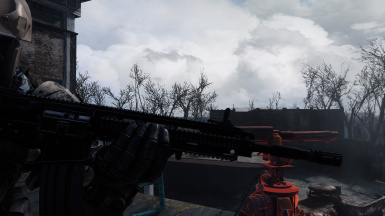 Your weapons should remain unaltered in FO4. 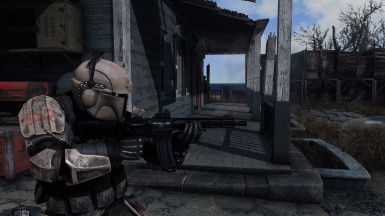 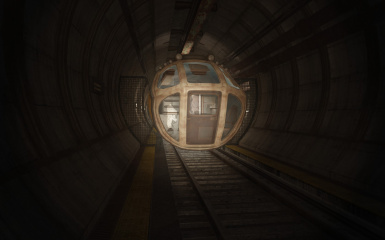 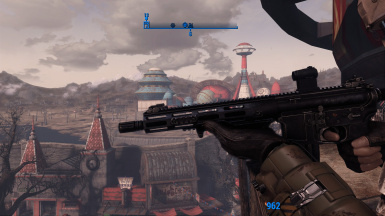 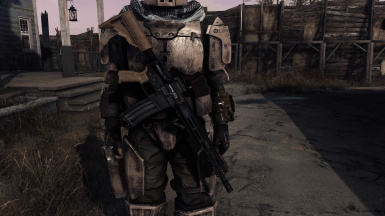 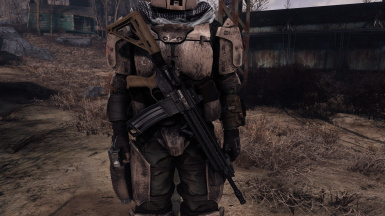 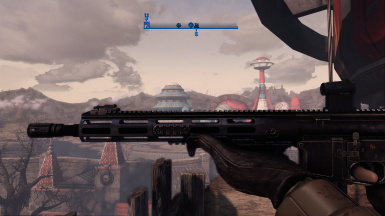 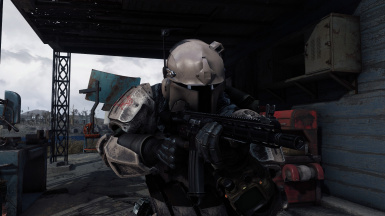 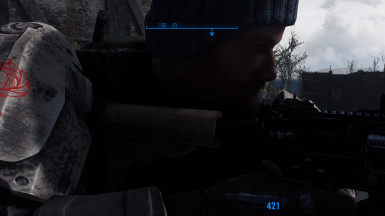 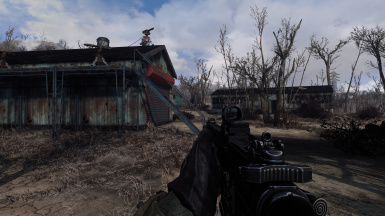 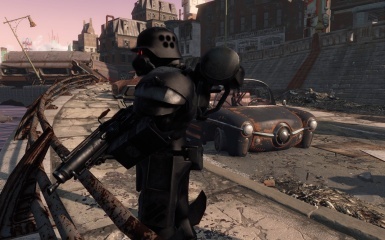 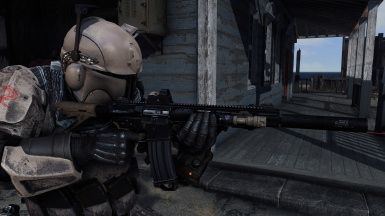 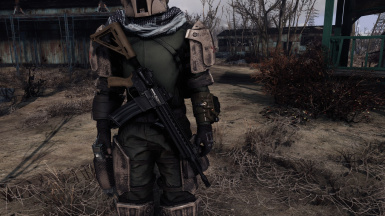 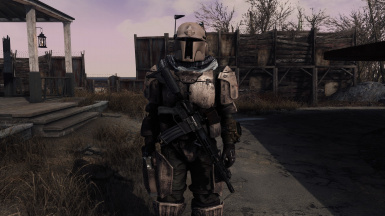 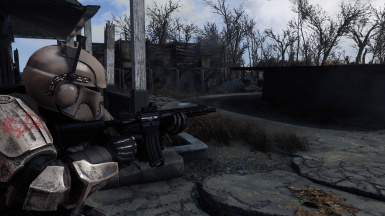 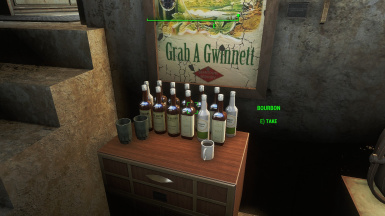 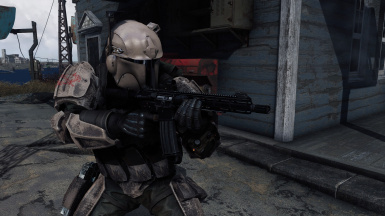 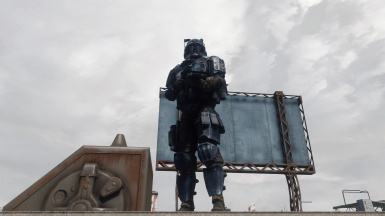 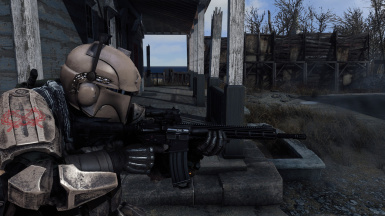 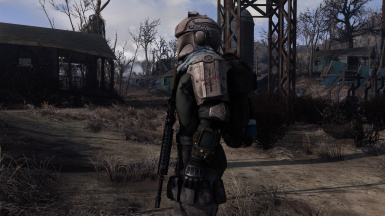 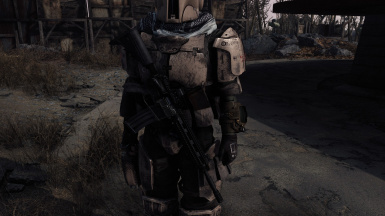 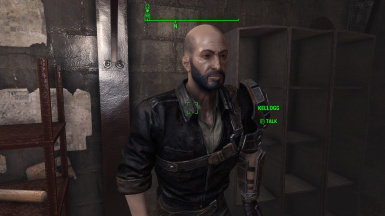 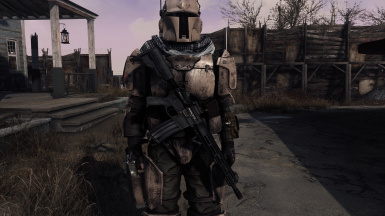 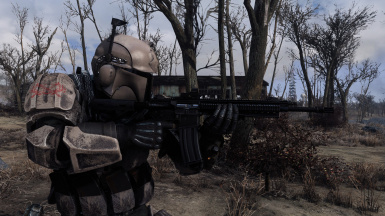 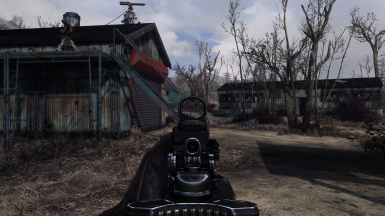 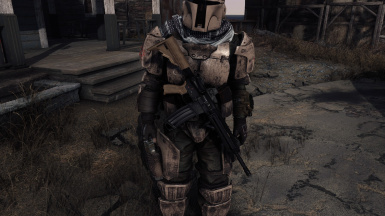 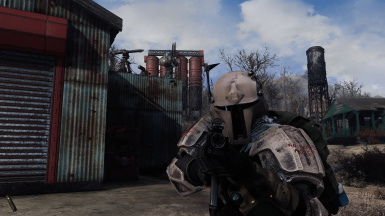 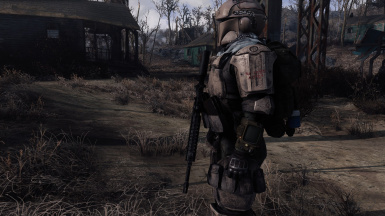 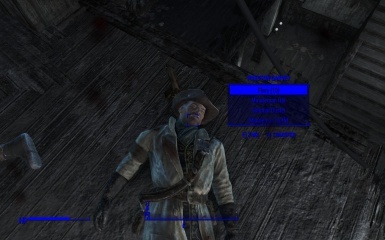 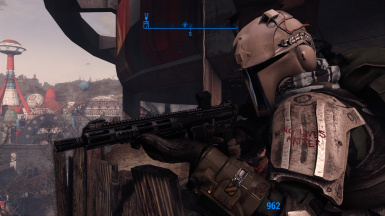 I recommend installing https://www.nexusmods.com/fallout4/mods/27545?tab=files as well if you want to match the screen shot colour and textures. 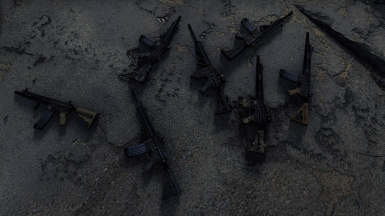 Now all about the real starts the GUNS!!! 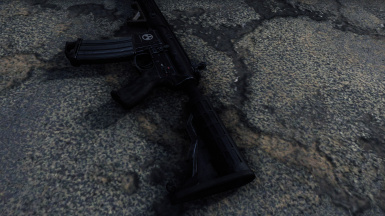 "The rifle featured a "two-stage" piston mechanism as opposed to the standard direct impingement system of the AR-15. 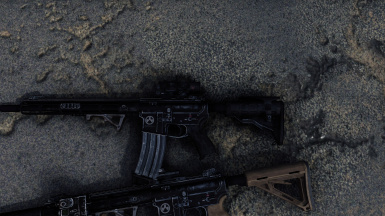 Gas flow is controlled by a four position regulator. 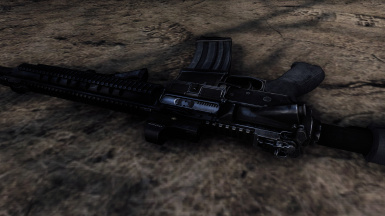 Several key parts, such as the short stroke gas piston, gas regulator, and bolt/carrier group are chrome plated. 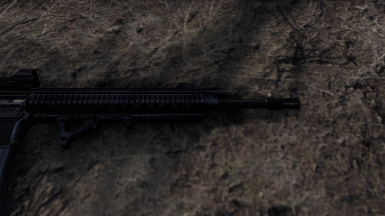 The bolt carrier features an integral lug in place of the AR-15's gas key." 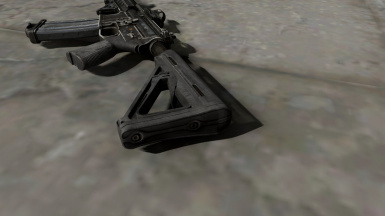 "M-LOK, standing for Modular Lock, is a free licensed firearm rail interface system patented by Magpul Industries...M-LOK allows for direct accessory attachment onto the "negative space" (hollow slot) mounting points, and is a competing standard to VLTOR's open sourced KeyMod system for replacing the ubiquitous Picatinny rail in some applications. 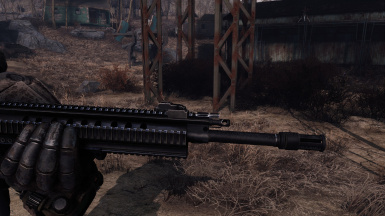 Compared to the Picatinny rail system, both M-LOK and KeyMod enable the user to have a slimmer, lighter, smoother and more fenestrated handguard/fore-end with accessories mounted only where needed, whereas a Picatinny handguards typically will have rail slots for its whole length resulting in a heavier and bulkier handguard with sharp edges and poorer barrel ventilation." 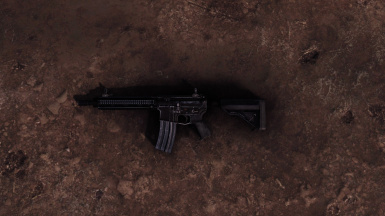 "The HK416 uses a HK-proprietary short-stroke gas piston system that derives from the HK G36, forgoing the direct impingement gas system standard in AR-15 rifles. 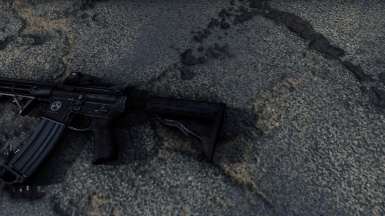 The HK G36 gas system was in turn partially derived from the AR-18 assault rifle designed in 1963. 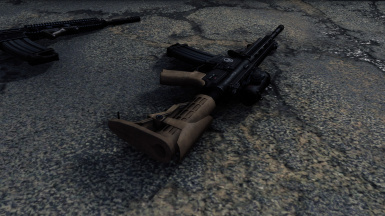 The HK system uses a short-stroke piston driving an operating rod to force the bolt carrier to the rear. 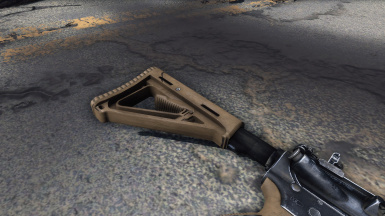 This design prevents combustion gases from entering the weapon's interior—a shortcoming with direct impingement systems. 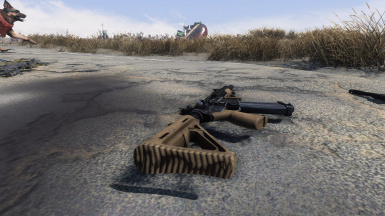 The reduction in heat and fouling of the bolt carrier group increases the reliability of the weapon and extends the interval between stoppages. 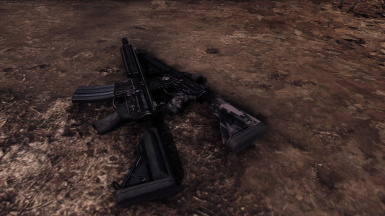 During factory tests the HK416 fired 10,000 rounds in full-auto without malfunctioning. 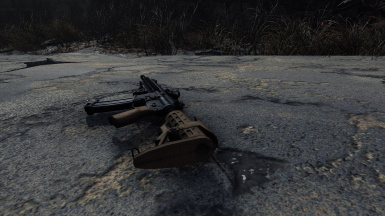 The new meshes were made 100% scratch built by me. 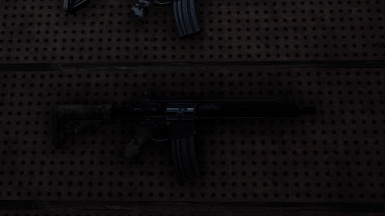 The new red dot mesh I cannibalized the Delta Point model and the Flashlight model as such the credit goes to the two original authors.